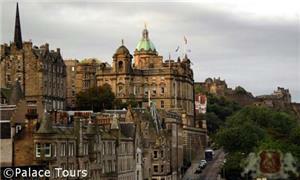 Book the Belmond Royal Scotsman for a free night's hotel stay in Edinburgh! Journey through western Scotland on the luxurious Belmond Royal Scotsman. 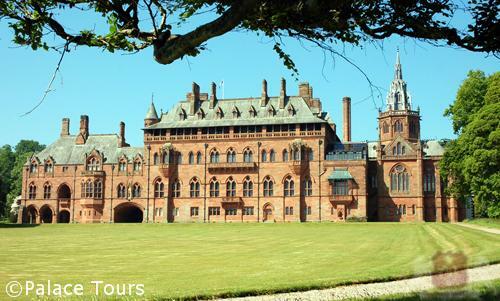 Journey past beautiful and historical sights including Loch Lomond and Ben Nevis and visit the Isle of Bute and stunning Gothic-Revival Mount Stuart House on this breathtaking adventure. Belmond Royal Scotsman is sure to make your stay comfortable, with its private cabins with en-suite bathrooms, Observation Car, and fine cuisine made with local produce and game. This journey gives you a unique look into Scottish culture and history and is sure to be an unforgettable trip. The train departs Edinburgh in the early afternoon and heads west through Falkirk, reaching Craigendoran, the starting point for the West Highland Line. 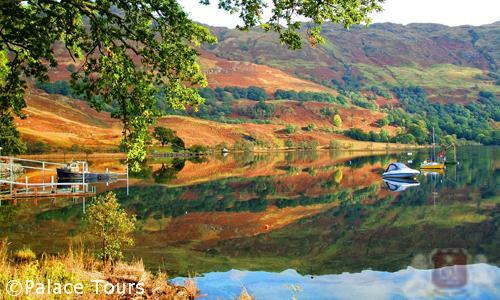 Enjoy an indulgent afternoon tea and look out for a first glimpse of Loch Lomond. After climbing up the waterfall-rich Glen Falloch, the train continues north to the village of Spean Bridge for the night. 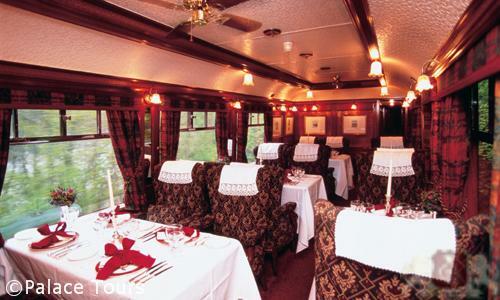 Enjoy a splendid informal dinner and entertainment in the Observation Car. Today continue west, passing through Fort William. 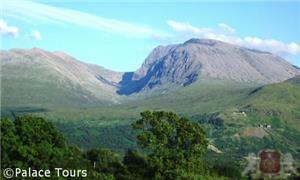 Here you will get a view of Ben Nevis, Britain's highest peak. Stop at Arisaig to walk along the Morar Sands (famously known as the "Silver Sands of Morar") and admire the Isle of Skye's Cuillin Mountains. Return to Belmond Royal Scotsman for lunch as it travels back towards Fort William, followed by a trip to Glenfinnan Monument. 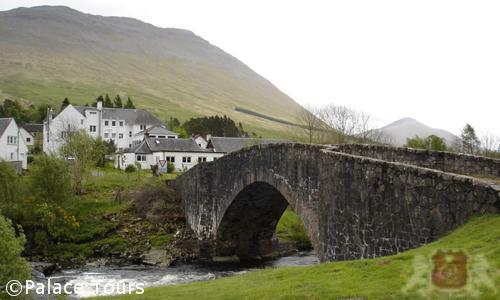 Here, a Highlander will explain the area's history before you enjoy tea at Inverlochy Castle. 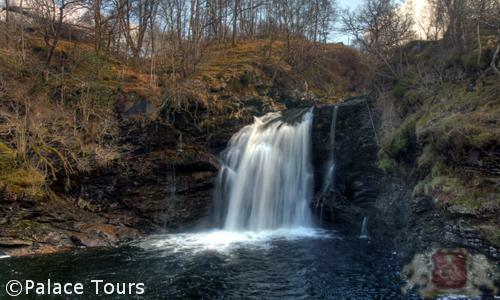 Alternatively, you can walk to the beautiful Steall Waterfall in Glen Nevis. In the evening, return to the train in Fort William and enjoy informal dinner as you travel towards Bridge of Orchy, a small town in Argyll. After dinner, enjoy entertainment in the Observation Car, nightcap in hand. 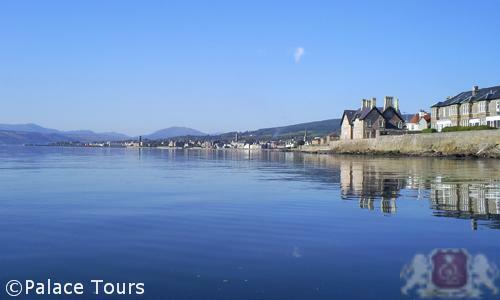 Today, you will journey to the charming Isle of Bute, a small island known for its geology, history, wildlife, and landscape. Visit the Victorian Gothic house of Mount Stuart, home to a wonderful collection of family portraits. In April 2016, a Shakespeare First Folio (a large collection of Shakespeare's plays published in 1623) was newly discovered at the Mount Stuart House. Return to the train for a formal dinner on your last night as you travel from Gourock to Kimarnock where you stable for the evening. Enjoy a hearty Scottish breakfast as Edinburgh’s historic skyline comes into view. Bid farewell at Edinburgh Waverley Station. All Rates in GBP per person including ALL taxes and surcharges. Your reservation will be processed in US$ at the exchange rate upon booking. Seated in the Observation Car you will find that it is a wonderful vantage point from where you can enjoy the spectacular scenery of the Highlands. Within this lovely car you can settle in a comfortable sofa or armchair or step out onto the open-air veranda and watch as castles, villages and glens glide by. This space is the best setting if you want to enjoy an aperitif or after-dinner drink. Here you can sit and enjoy the country-house atmosphere which is relaxed and lively while nightly entertainment helps create a memorable Scottish ambiance. Journeying through Scotland on Belmond Royal Scotsman luxury train you will be able to rest and relax in en-suite cabins that are a cozy, indulgent space in which you can savor the glorious scenery. On this train, the sleeping cars have 15 Twin Cabins, four Double Cabins and four Single Cabins including an interconnecting cabin (twin/double). Belmond Royal Scotsman stays each night at a quiet siding or station so guests can sleep peacefully and uninterrupted. Dining onboard the Belmond Royal Scotsman luxury train is a highlight of the each day and each sumptuous meal is designed to showcase the cuisine of the country. The dining cars have mahogany-panels and you can opt to enjoy your meals in tables that seat four, six or eight. Fine wines, liqueurs and malt whiskies picked from our extensive cellar will accompany your meals and you choose what you prefer. The best locally sourced produce is used on this luxury train. This includes game, Aberdeen Angus beef, seafood, wild salmon from rivers and more are used by our chefs to create regional specialties. At the start of your day you can enjoy either a typical Highland breakfast or one that follows the continental style. Lunch often consists of seafood such as steamed mussels, which you can enjoy while touring romantic harbors. Or, if you are on the train you can indulge in seared salmon. 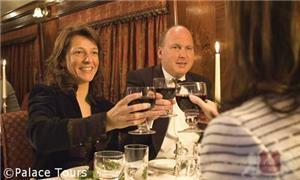 Dinner is usually served in the dining car and here sensational dishes will be churned out by onboard chefs. Some of these include warm pigeon salad topped off with blackcurrant dressing, a main course consisting of spiced roast halibut, and dessert of sumptuous apple mousse. Dinners are either formal or informal onboard the Belmond Royal Scotsman luxury train. Formal and informal dinners happen on alternate nights. During formal dinners, gentlemen are urged to wear either a tuxedo or kilt while ladies are encouraged to wear a cocktail dress or something of similar fashion. Informal dinners usually require gentlemen to wear a jacket and tie. Kilts can be hired locally from Kinloch Anderson. Contact Palace Tours if you need to purchase travel insurance. When traveling on Belmond Royal Scotsman luxury train we recommend insurance cover for personal belongings and your luggage. Insurance will often times also cover any charges associated with the cancellation/interruption of tours and any medical bills. Details of cancellation policies can be found in our booking conditions. 2Will I require a passport and visa to go on this trip? In case you are not a citizen of the United Kingdom you will need a valid passport for the duration of the tour on the train. Also according to the country that issued your passport, you might require a visa when you enter into the UK. We recommend that you check with your travel agent or government before you make your plans to travel to the UK. 3Are children allowed on the train? Children under the age of 12 are permitted onboard so contact reservations if you need further details. 4Can wheelchairs be used on board? If you use a wheelchair or have restricted mobility, please contact us directly, to discuss whether you can proceed with the trip on the Belmond Royal Scotsman luxury train. 5Can the needs of a special diet be accommodated? Please contact us in advance if you have any special dietary requirements or any food allergies and these will be accommodated by the chef. 6What is the history of Belmond Royal Scotsman? 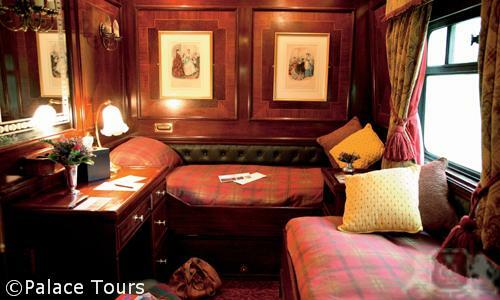 A “country house on wheels,” Belmond Royal Scotsman is Belmond’s unique luxury train in Scotland and has been in service since 1985. 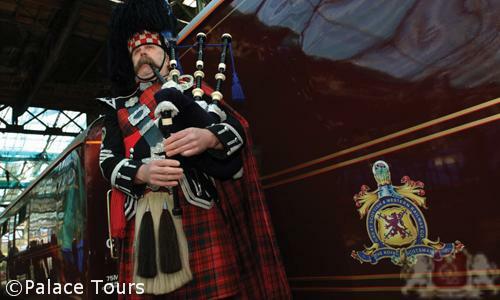 There are 9 carriages total, fitted with luxurious modern comforts, that will whisk you away on this Scottish adventure. Traveling through remote areas of Scotland by train, you will view landscapes and incredible wilderness that cannot be seen any other way. 7Describe the cabin accommodations on the Belmond Royal Scotsman. 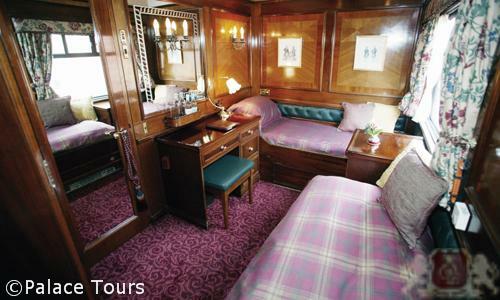 Belmond Royal Scotsman has 22 luxurious en-suite cabins for its 40 passengers designed in Edwardian style. There are 15 twin cabins (with two twin beds), four single cabins (one twin bed), and four double cabins (one double bed). In addition to an en-suite shower room, each cabin has a desk, wardrobe, controllable central heating, and a large window to view the passing scenery. Rich mahogany siding and gorgeous tartan fabrics create a warm and elegant Scottish haven. 8Does the train move at night? No, Belmond Royal Scotsman is stationary at night in a quiet siding or station, providing greater comfort for a better night’s sleep. The train stops around 7pm at night and will resume service around 7am. Once the train is stabled for the night, you are able to step off for fresh air and to stretch your legs. 9How many passengers does Belmond Royal Scotsman accommodate? Belmond Royal Scotsman carries 40 passengers in 22 cabins. This small number creates a truly personal and intimate experience. As you travel through remote areas of Scotland, you will find yourself getting to know your fellow passengers and staff rather well over the course of the journey. 10What is the staff to guest ratio on Belmond Royal Scotsman? Currently, Belmond Royal Scotsman has 18 staff members to the 40 passengers on board. There is a cabin steward available to you during all hours. 11Describe the decor of Belmond Royal Scotsman. The Belmond Royal Scotsman is deliberately designed to immerse its passengers in Scottish culture from the moment they board. Fitted with rich mahogany paneling, colorful tartan fabrics, and large windows, the train becomes your new Scottish home. 12Describe my dining options on board Belmond Royal Scotsman? Lunch and dinner are held in two distinct dining cars: Raven and Swift, which accommodated all passengers at a time in more intimate, family-style seating arrangements. 13How much time on average is each meal on Belmond Royal Scotsman? Meals will typically take place during a two hour window. Meal times may vary day to day according to the itinerary, but generally, lunch is served from 12-2pm, and dinner is served from 7-9pm. 14What other carriages are part of Belmond Royal Scotsman? In addition to the Sleeping Cars and two Restaurant Cars, there is an Observation Car which is the social hub of Belmond Royal Scotsman. This car doubles as a bar car and boasts an open-air veranda where you can step out for fresh air and to watch the scenery pass by. The Observation Car comfortably seats 40 passengers, and the veranda can hold between 2-3 people at once. Sit in the upholstered sofas, mingle with the other passengers, and try some of the 50 local whisky options available from the bar. After dinner each night, there will be local Scottish entertainment for your enjoyment, ranging from lively music to a Highlander’s dramatic storytelling. 15Are drinks included in the fare price? Yes, all drinks are included in the overall price. 16Are there any TVs, or WIFI on board? No, there are no TVs and no WIFI connection on board. The reasons are partly deliberate and partly logistical. Travelers are encouraged to get to know each other, converse, and take in the rich scenery around them. 17What types of attire are acceptable on Belmond Royal Scotsman? Attire is smart casual on board the train, however, formal wear is advised for a special farewell dinner that concludes each journey. This may be black tie or for a truly special experience, consider hiring a traditional Highlander dress outfit. For informal dinners, a shirt and tie is recommended for gentlemen. Also, dress appropriately for outdoor excursions with comfortable footwear and practical clothing. Kilts may also be worn in a formal capacity. 18What languages are spoken on board? Most Western European languages will be available. If a translator is needed, please contact Palace Tours to request at the time of booking. 19Describe the demographics of the typical passenger on board Royal Scotsman. Belmond trains are particularly popular among tourists over the age of 40. In recent years, younger clientele are becoming increasingly represented on the train as well. The majority of the clientele is American, while there are also English, Australian, and Western European travelers as well. 20What are some of the sights I will see along the way? As you tour the beautiful scenery of Scotland, you will find old castles and modern whiskey distilleries sprinkled into the green landscape. You will also find mountains and other geographical features you didn’t know existed in Scotland, populated by Highland Cattle with thick brown coats. You may also extend or customize your journey through Scotland to see more of whichever sights interest you the most. 21What currency do I need on board? It is recommended that passengers have a small number of Euros for on board purchases. However, most major currencies are accepted, as well as travelers’ cheques, Eurocheques and major credit cards (Visa, Mastercard, American Express, Diners Club and JCB). The exchange rate on board is displayed in the Bar Car. 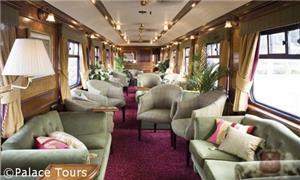 22Describe tipping on Belmond Royal Scotsman, as well as on the excursions. Tipping is not required on the tour, regardless of the cities visited. You may feel free to do so as your tipping culture suggests, but it is ultimately discretionary. 23Can I smoke on board? No. To comply with European regulations, Belmond Royal Scotsman operates a no smoking policy on board the train. 24Is it possible to customize my tour? Yes, you may choose to arrive a few days early or leave later to extend your trip. Simply contact Palace Tours to discuss what you would like to add, and we will hammer out the details for you. 25Does Belmond Royal Scotsman have any special offers for its trips? Yes, contact Palace Tours for more information. 26Are there any special rates for children? Special rates are possible for children under 12 years old. Contact Palace Tours for information on these rates. 27I’d like to contact Palace Tours directly, what is their phone number?